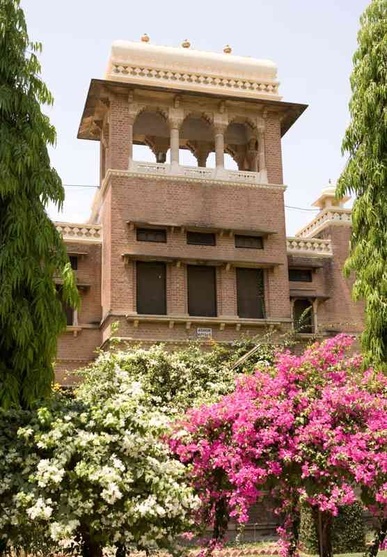 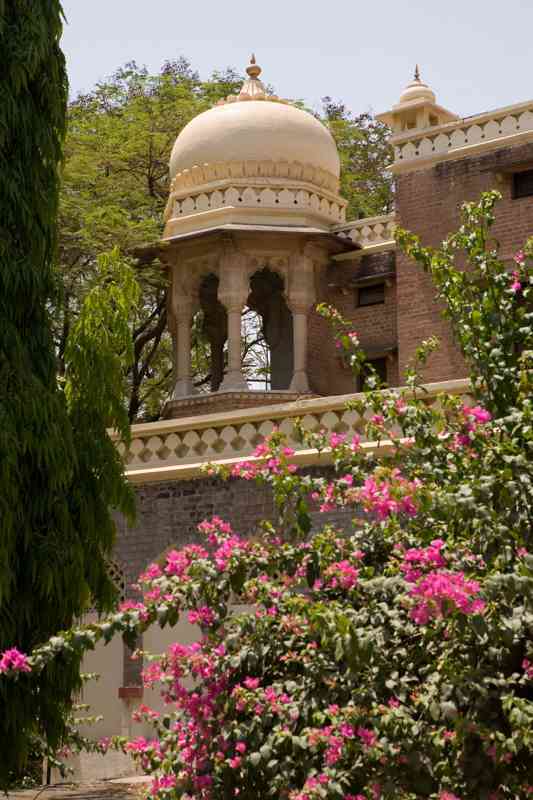 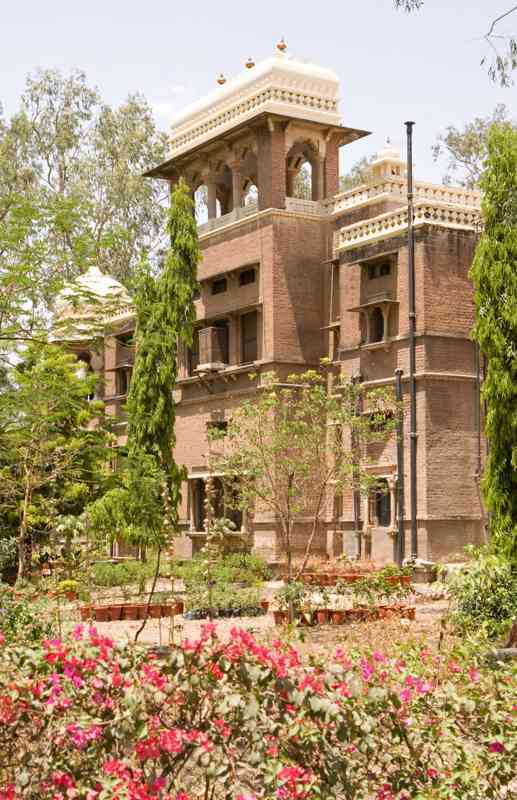 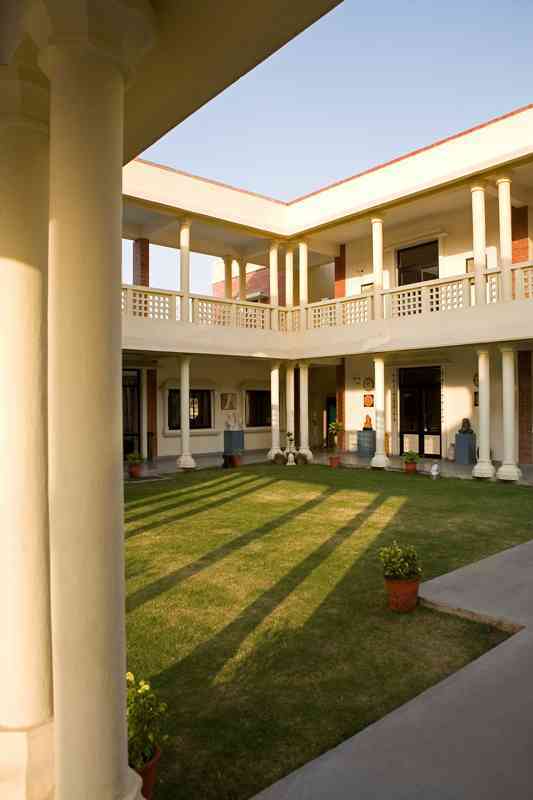 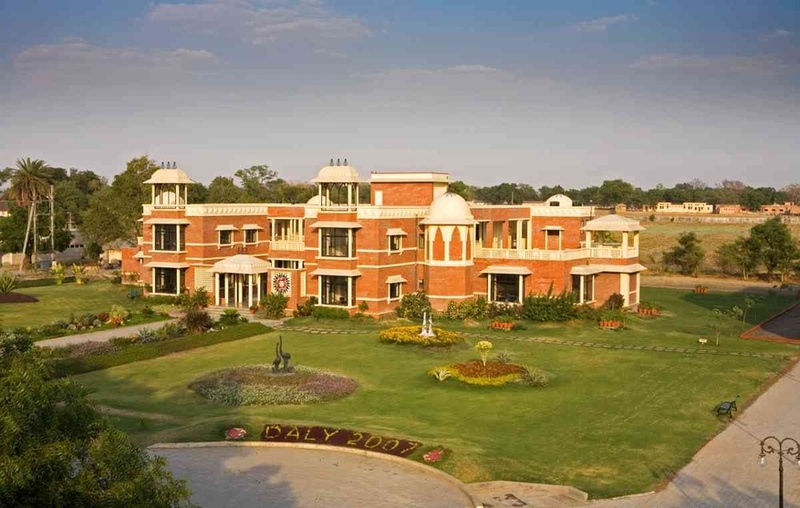 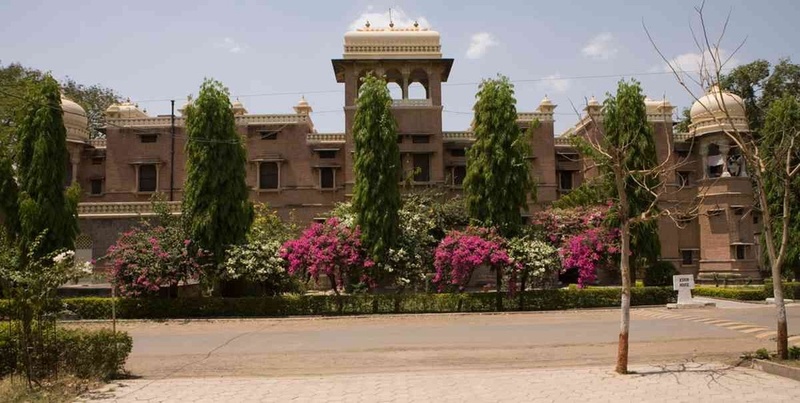 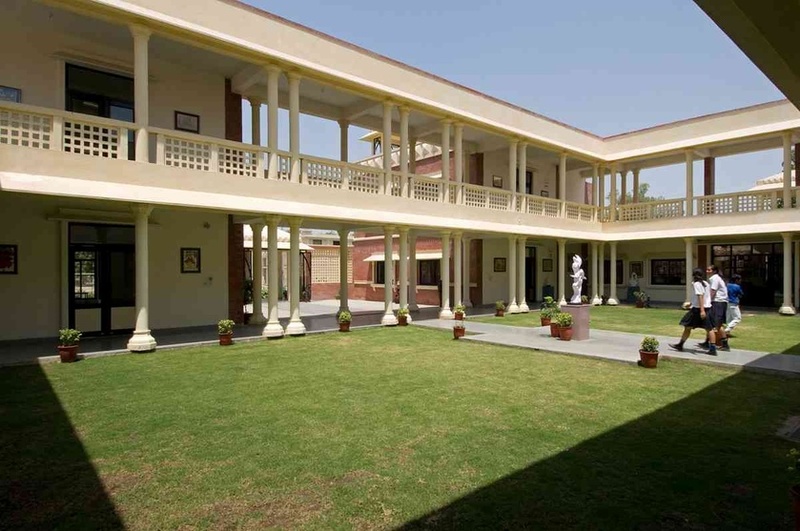 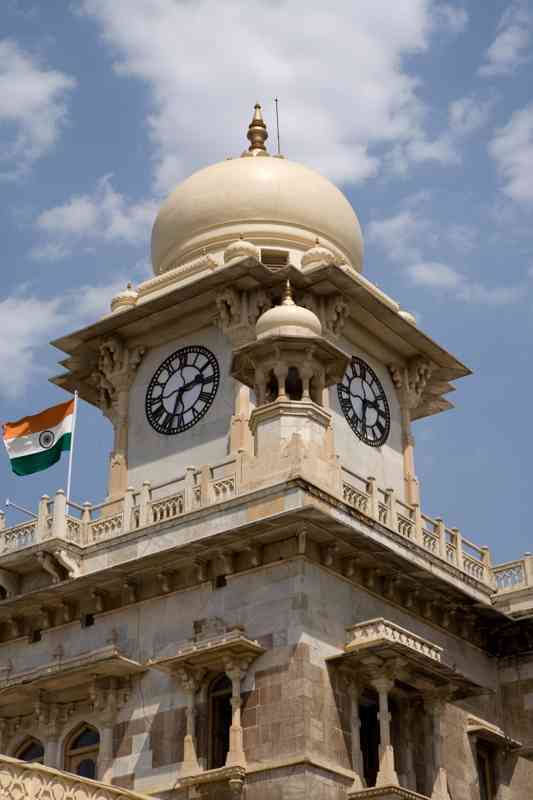 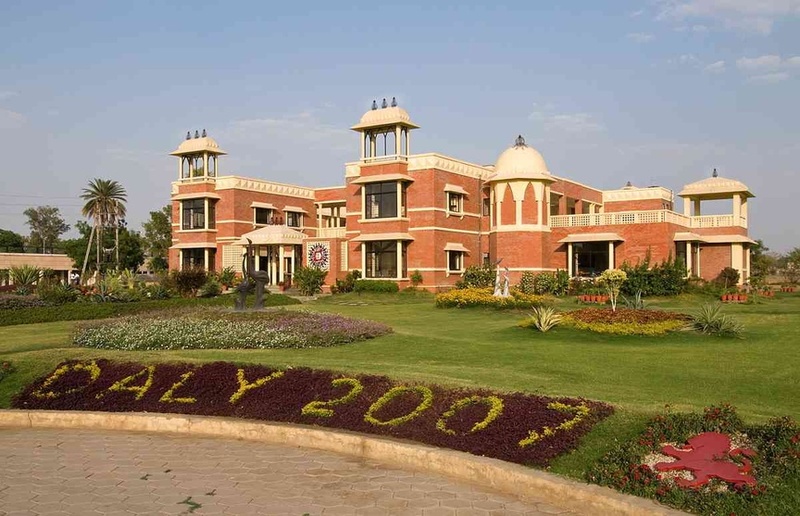 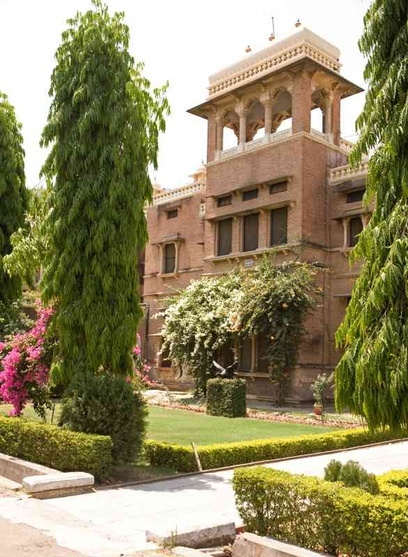 The Daly College in Indore is a 125 year old residential school set in an 120 acre campus. Designed by Sir Swinton Jacob in the Indo Saracenic style the marble main building and the older brick boarding houses display the typical Indianized elements like chhatris, domes, arches & decorative bands and cornices to otherwise formally laid out plans & massing more evocative of formal European sensibilities. 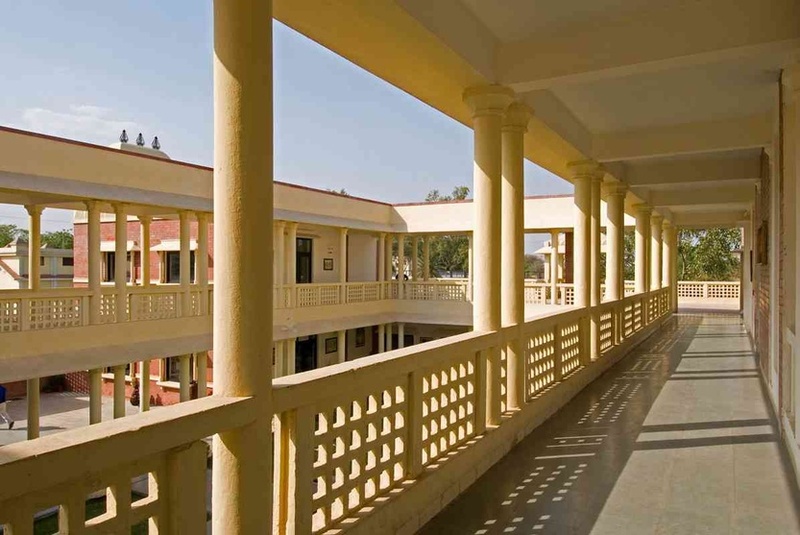 The latter day additions to the campus as evident in the campuses of many old institutions tend towards very ordinary boxy PWD style buildings at complete disonnance with the quality and characteristics of the older buildings. 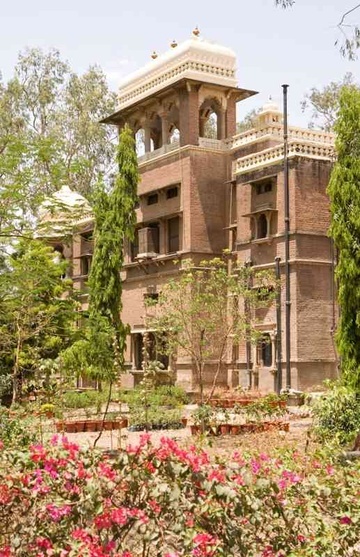 The design for the CDTC building attempts to fit into and reflect it’s context in the verdant campus abundant in natural as well as historic (built ) heritage. 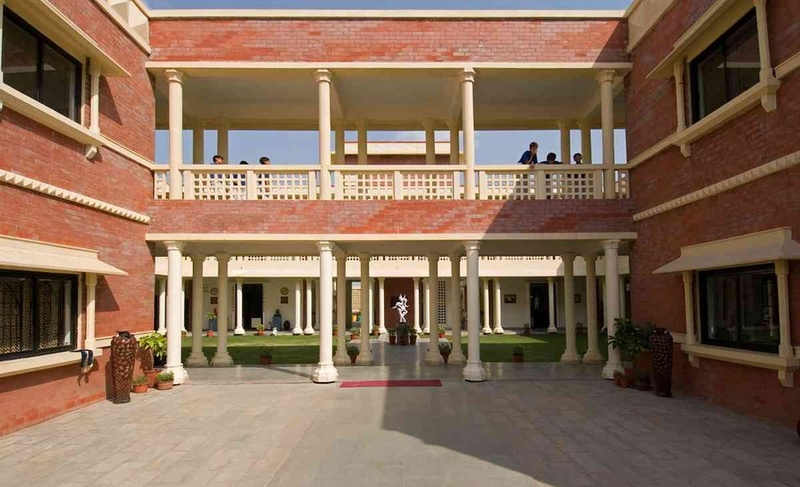 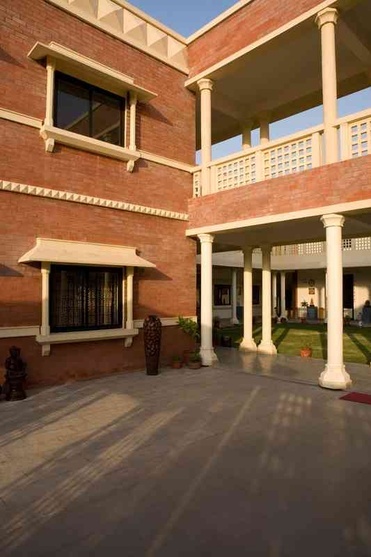 The design is rooted in the traditional style of the old brick built boarding houses which provide a replicable exemplar as compared to the expensive opulence of the marble main building with extensive hand carved built elements. 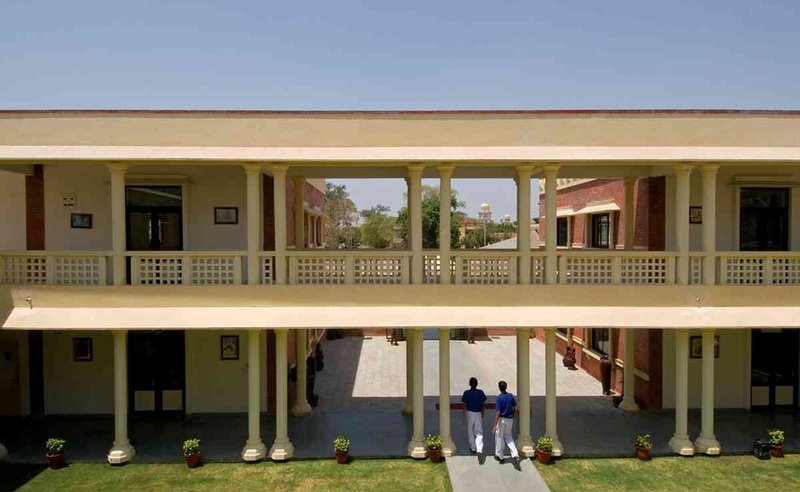 The more sparse traditional elements of the built vocabulary of the boarding houses have enabled reinterpretation in a minimal stylized form to reflect the fact of contemporary construction as also for financial & functional feasibility. 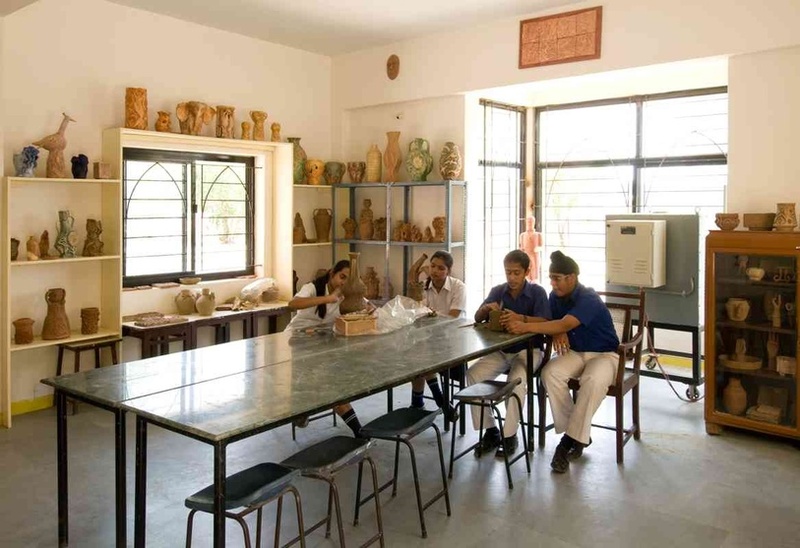 The brief called for a discrete building set within the college campus as a centre housing activity spaces for the study and practice of design, craft and technology oriented co-curricular activities. The location decided within the pre existing master plan of the campus East of & behind the main building, had buildings of varied functional nature all around i.e science & computer science blocks in the near vicinity with the tennis courts in front and swimming pool and auditorium on either side The budget allocated was stringent given the built up area required as also the design methodology considered apt by the architects which was striven to be adopted. The centre was to thus conceived to be a building which provided a stimulating environment in the form of spaces, both enclosed and open, which were interactive & engender exploratory learning. 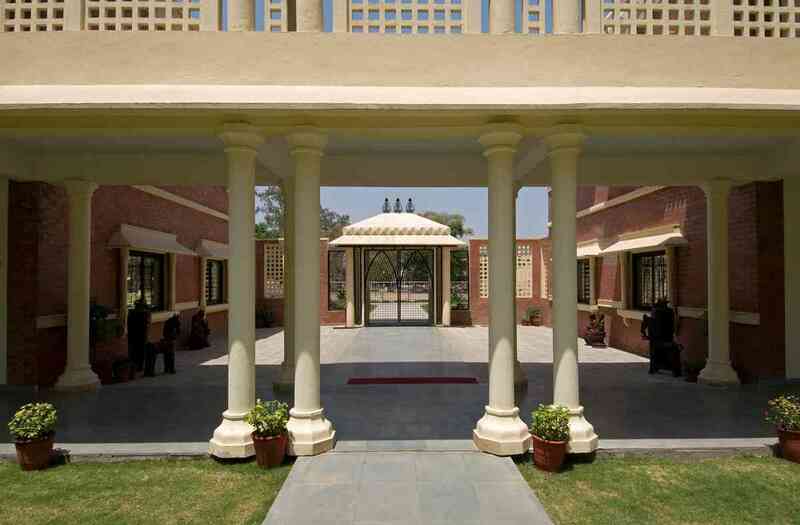 The design is based on courtyards and open sided corridors: evolving from -and providing a coherence of organizational & architectural character with- the existing old buildings while being functionally appropriate for an activity centre as also as a climatically apt response given the pleasant climate of the Malwa plateau. 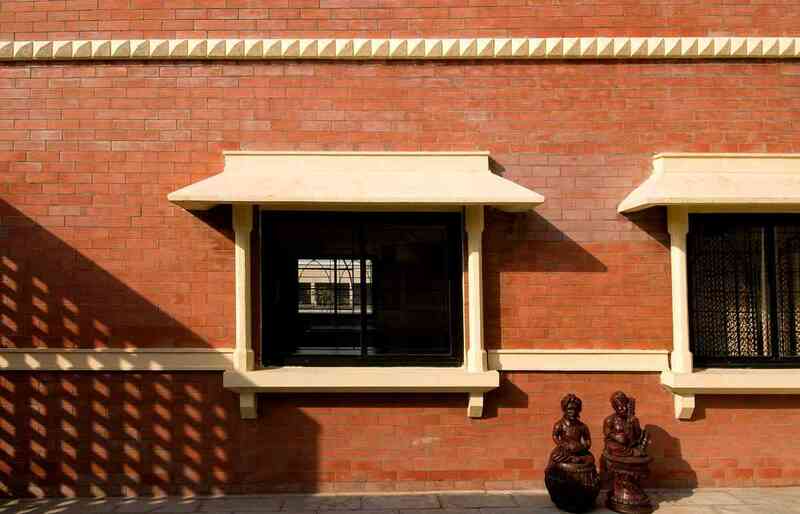 A material vocabulary incorporating exposed brick massing with decorative banding in fair faced concrete at various levels, stylized window surrounds, sills and canopies reminiscent of jharokhas, concrete & mild steel trellises and jali parapets , and skyline establishing elements and masses– all provide a continuity of style from the older buildings while being contemporized to a modern appearance. 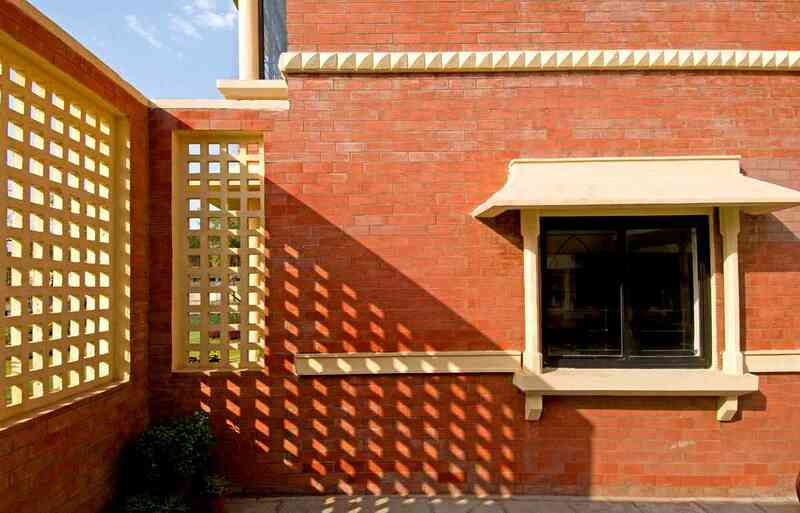 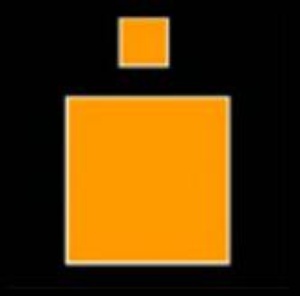 An introverted building centered around a central court to contain the noise & disturbance to other surrounding buildings without while allowing freedom within. 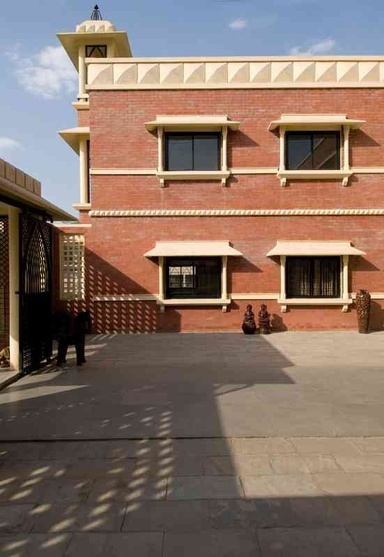 The central court also provides a buffer between the east & west wings for sound dissipation as well as a focus for the entire building as a synergistic activities complex. 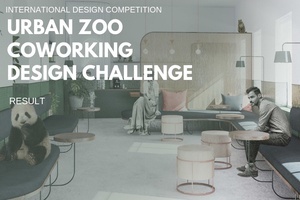 Distinct zoning: The activities are zoned into “ noisier / quieter ” as also “ contained / overflowing “ and placed accordingly within the building as four distinct nodes on each floor. 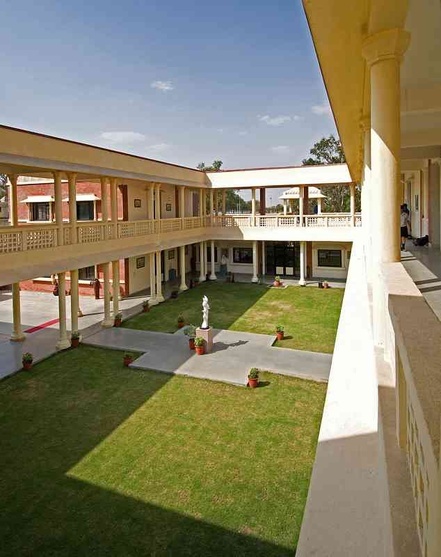 The quieter activities are next to the separate computer science block on both floors to minimize disturbance to study areas. 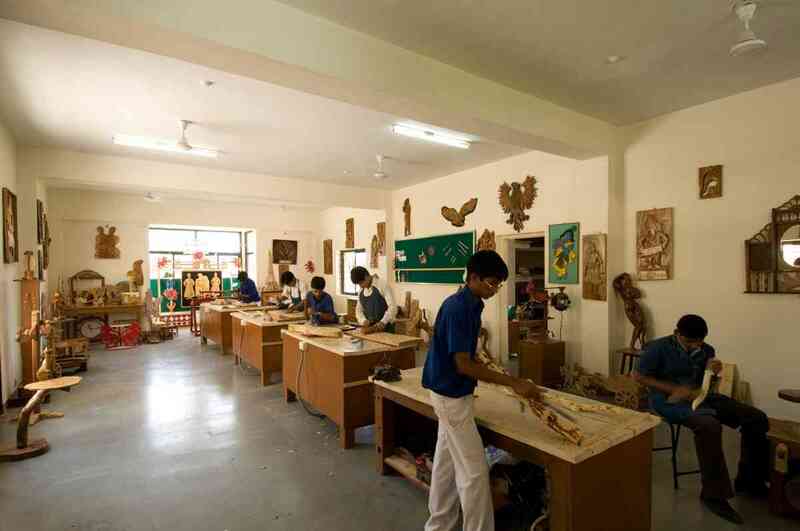 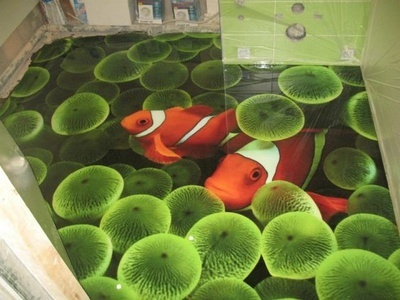 Activities benefitting from spillover into open spaces are catered to on the ground floor. 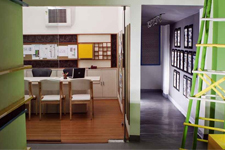 Spillover spaces: in the form of spacious activity courts open directly off the lower activity rooms and provide vibrant & lively adjunct open areas for unrestrained creativity. 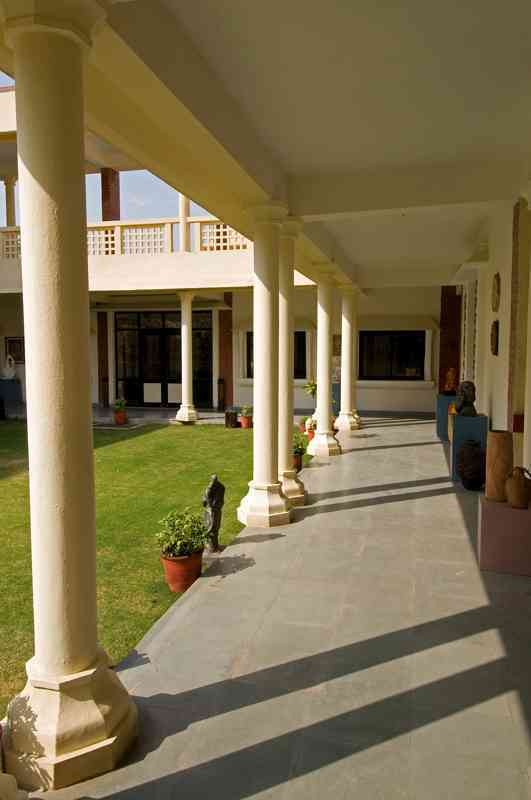 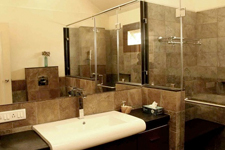 Patios & chhatris provide a multiplicity of nature of areas for usage in various manners. 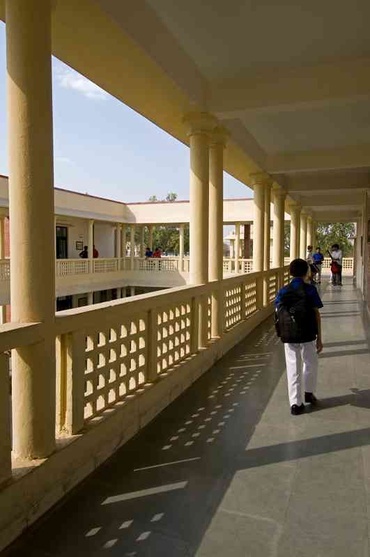 Maximizing climate: The varied open / semi enclosed spaces for usage also enable the exploitation of the mostly balmy climate of Indore to increase spaces available for activities at minimal outlay. 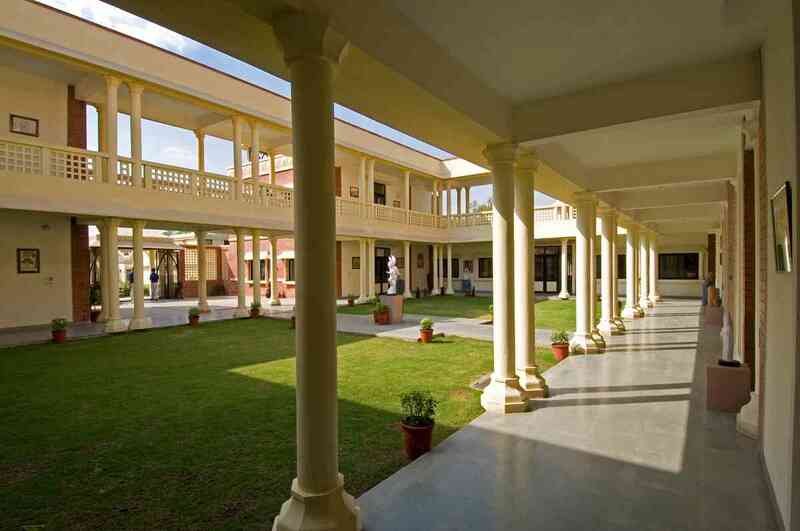 Ease of overview:Centrally located staff rooms on each floor command a clear view of the overall building.